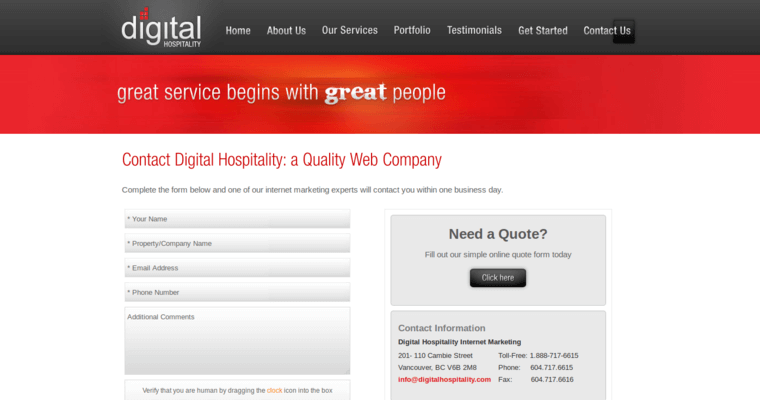 Headquartered in Vancouver, Digital Hospitality is a search engine optimization company that specializes in getting hotels found online by prospective customers. Because the hospitality industry is their exclusive focus, they know what it takes to craft a successful search strategy for a hotel or hotel chain. Nothing they do is a one-size-fits-all solution. They build custom SEO campaigns for each client depending on their needs and goals. 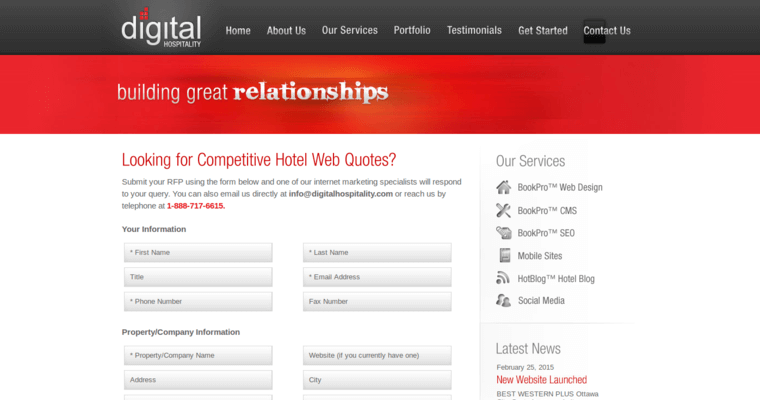 They currently serve over 250 properties around the globe. This award-winning digital agency does the keyword research, competitive analysis, content optimization and all the on-page and off-page optimizations necessary to get their clients rocketing above their competition on the major search engines. Their analytics and reporting show their clients exactly what kind of return on investment they are delivering for them. 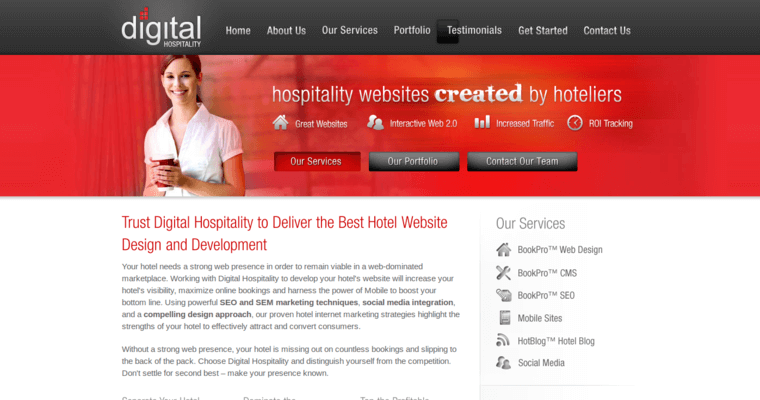 Should a hotelier desire services beyond search engine optimization, Digital Hospitality also provides website design, content management and other digital marketing services.